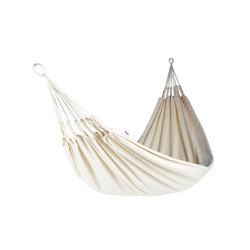 hammock Naya Nayon Marinera. 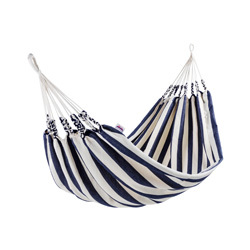 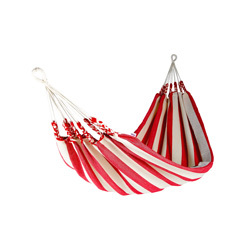 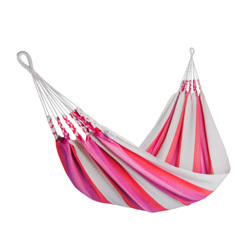 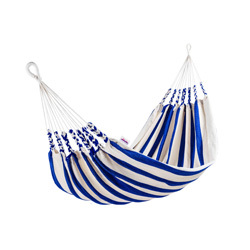 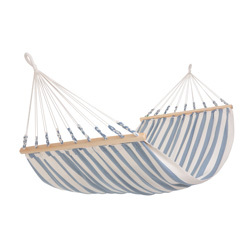 hammock in white cotton with stripes in red, bright blue or dark blue. 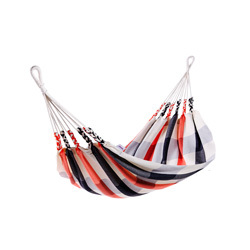 The Naya Nayon Marinera hammock is a cotton hammock with a choice of red, bright blue and marine blue stripes. 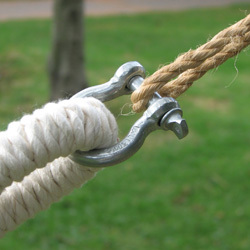 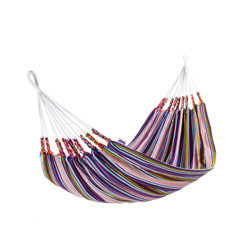 As all the Naya Nayon hammocks a beautiful, strong and reliable hammock.